A bantam is a small variety of chicken. 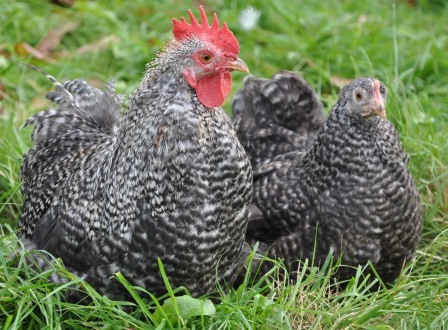 Bantams are suitable for smaller backyards as they do not need as much space as other breeds. 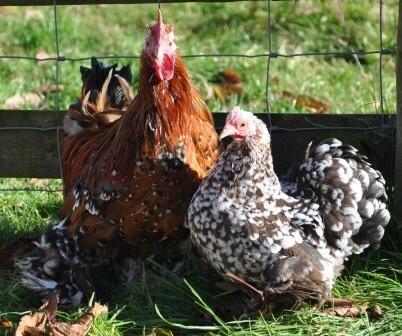 Bantam hens are also used as laying hens, with some bantam breeds laying up to 150 eggs per year. Bantam eggs are only about one-half to one-third the size of a regular hen egg. The bantam chicken eats the same foods as a normal chicken. Bantams have become increasingly popular as pets as well as for show purposes because they are smaller and have more varied and exotic colors and feather patterns than other chickens. 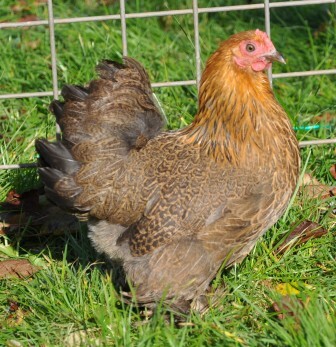 Many bantam hens are renowned for hatching and brooding. They are very good and protective mothers. 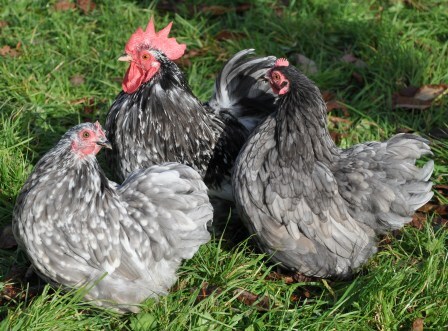 This page shows you a small selection of bantams. 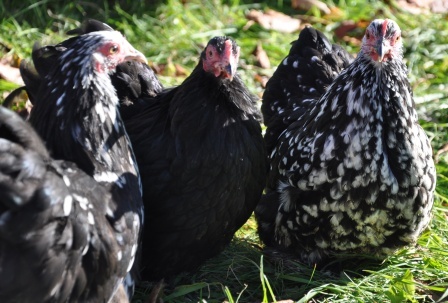 The pekins shown in the images are bred on the farm whilst the other bantams listed below are a few of the breeds we stock throughout the year. There are many other breeds also available at different times. The bantams available for sale will be updated on the for sale page as often as possible. If there is somthing specific you require please ask. Pekin bantams are a true bantam, a breed of miniature chicken which has no large fowl counterpart. Pekins are very docile, and with regular handling they will be happy to sit on their owner's lap to be stroked and petted therefore making them ideal pets for families with younger children. 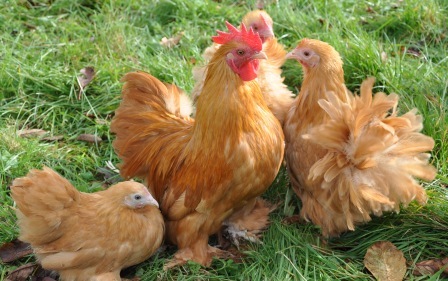 The hens are regularly broody and are known to be good sitters and attentive mothers. 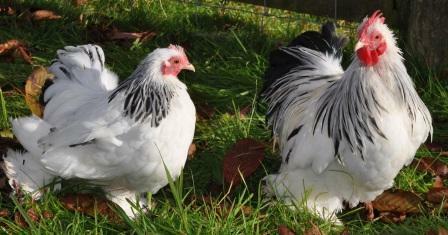 The pekins shown below have all been bred by ourselves and are just a few of what is available. They are available most of the year round from day old to point of lay as females, pairs, trios depending on availability. 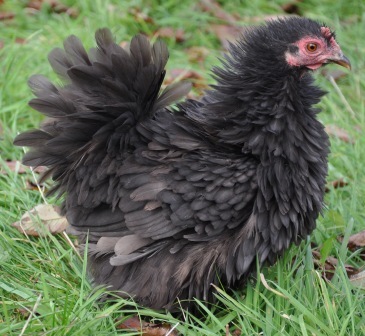 Listed below are a small variety of some of the different breeds of bantams available. These breeds are also available in many different colours. 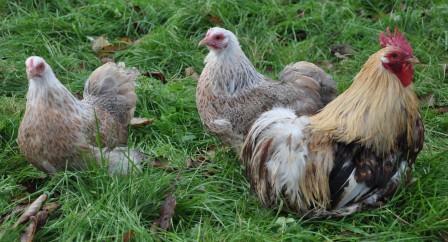 Above is just a small selection of the bantams available. 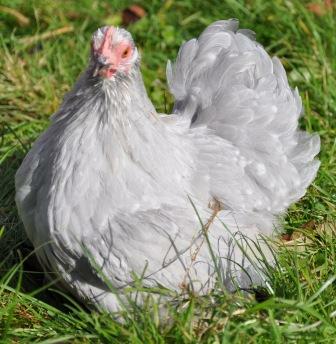 We have a large selection of Bantams in stock and available throughout the year. Please bear in mind that there are hundreds of breeds of chickens and we cannot have them all in stock at the same time. Prices and availability vary throughout the year depending on age etc. We also have a lot of contacts for different breeds so if we have not got what you want in stock we can possibly source it from a specialist breeder if you should so wish. So please try us for any breed you require. Please contact us by telephone or email for further details.